Dogs are man’s best friend and are faithful companions. For this man however, he had said something shocking to his own dog that any dog lover would not say to their beloved dogs. An eye witness had recorded a video of a man shouting and using his finger to poke his dog. It was clear that the man was angry at the dog but for unknown reasons. The dog was seen cowering in the crate, obviously afraid of its owner. 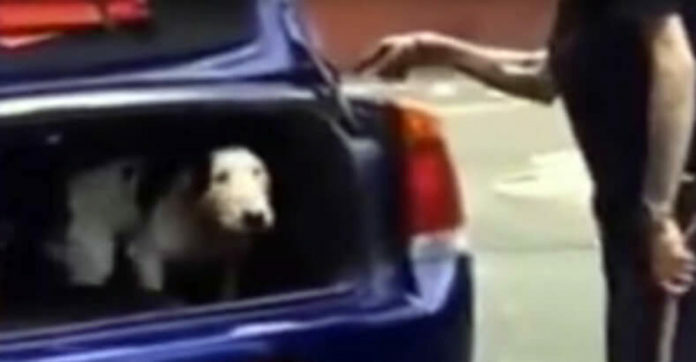 Before the man angrily slams down the trunk of the car, he yells “Die!” to his poor dog.